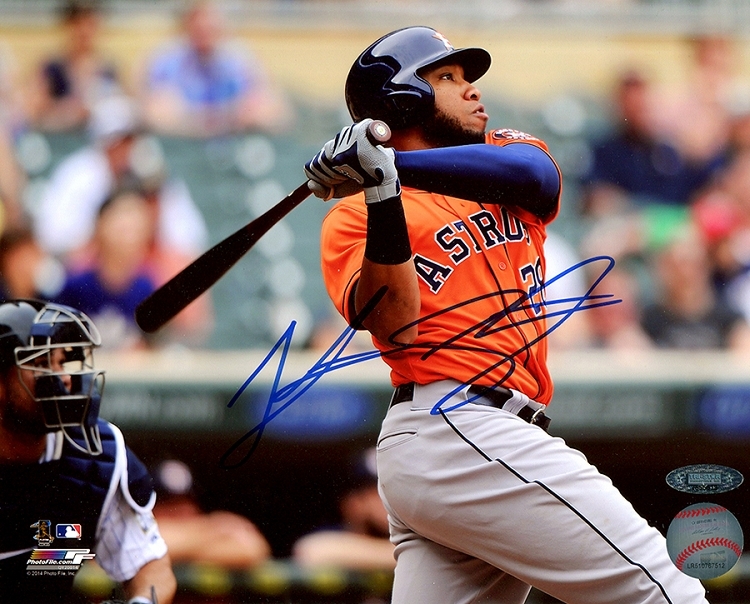 Jonathan Singleton made his major league debut June 3, 2014 with the Houston Astros as a first baseman. He hit a home run in his first game. On June 8, he hit his first grand slam. Singleton will be a strong force for the Astros in upcoming seasons. These Houston Astros 8x10 photos have been hand signed by Jon Singleton. Each autograph is guaranteed authentic, and includes an individually numbered TRISTAR Authentic hologram. Note: Actual image may vary.